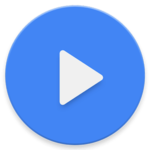 MX Player is a powerful video player with advanced hardware acceleration and subtitle supports. It is the world’s best video player and currently it is one of the largest streaming platforms of India. This application can be used for watching favourite movies, live TV shows, music videos, top series and many international channels at free of cost. One can easily experience many online and offline features of this app. Therefore, it has ranked the top 10 Android apps since 2012. It supports all type of audio and video formats due to its advance hardware acceleration system.